Robust and flexible health benefit plans. 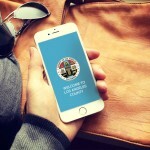 Los Angeles County offers one of the strongest public-sector benefits packages in the nation. relax and rejuvenate in order to reach your fullest personal and professional potential. The County offers a number of deferred compensation plans for full-, part-time and seasonal employees. The plans provide a great way to save for retirement and supplement the defined benefit pension available to full-time employees. These plans help our employees build a plan for their future and contribute to their families long-term financial well being. In striving to be an employer of choice, Los Angeles County leads the way in supporting our employees and their families through generous family leave benefits as well as paid vacation and sick time days. We also offer flexible work schedules, lactation support and Americans with Disabilities Act accommodation to ensure that every employee knows their value, reaches their potential and maintains a healthy work-life balance. Our award-winning Countywide Fitness Challenge features exciting weekend fitness events in local parks and recreational venues. Come kayak, dance, hike and run your way to better health! Free monthly lunchtime seminars provide the latest information on a variety of wellness topics. Easy to access monthly wellness webinars are provided and cover health-related topics such as asthma, nutrition, diabetes and stress management. Wellness Fairs at various County facilities provide employees with free biometric screenings and important health information during the work day. Travel virtually around the world by electronically tracking your steps, in this annual race to better health. Employees visit new exotic destinations weekly. Join this annual weight loss contest and challenge your fellow employees and other agencies as you work toward a better you! One often overlooked aspect of employee wellness is financial health. DHR provides onsite classroom workshops that assist employees in managing both their day-to-day and long-term financial goals. Free flu vaccination clinics are offered every year at various County facilities September through December. Get a work out in! Classes such as yoga, salsa and hip hop are held at the Kenneth Hahn Hall of Administration (Room B62) during lunch or after work. The County of Los Angeles promotes and supports breastfeeding and the expression of breast milk by employees who are breastfeeding when they return to work. As the largest County in the nation and a leader in public-sector employment, we emphasis both physical and mental well-being as key traits of effective and balanced employees. In addition to the many wellness initiatives offered by our health care plan partners, the County offers activities and information to help our employees to be healthier and more productive. *Approximately 80% of employees participate in each of the deferred compensation plans offered. The Commuter Benefit Plan lets County employees who take public transportation to and from work save money by paying for commuting expenses with pre-tax payroll deductions that let you pay for your commute tax-free, letting you save up to $500 per year! The program also makes easy to travel by letting commuters set up automatic payment for transit vouchers, Metrolink passes and Transit Access pass cards.